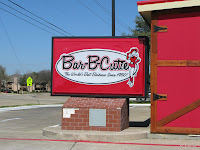 Bar-B-Cutie is a small chain, currently 16 locations. Although they are located primarily in the Nashville area, there are also franchises in Georgia, Indiana, Ohio, Kansas and Texas. It is probably unfair to judge their meats by the standards of Central Texas smoking when they may be completely unaware of the craft. However, they do bill themselves as “The World’s Best Barbecue Since 1950!” With that in mind, I pull no punches The brisket had no crust but a bright smoke line. There was a slightly smokey flavor in the first bite that quickly disappeared. It was well done yet fairly tender but had no character to speak of. It rates right in with the good-quality food service fair that some might call “commercial grade.” This is a very common result we find in places with a more professional background. The ribs were quite tender and moist. Again, there was little smoke flavor. I found myself distracted by the rub. I would bet a nickel two of the main ingredients are seasoned salt and brown sugar. This added a texture I didn’t care for. It probably works better served “wet” with a slathering of sauce in the Memphis style. Then, I’d have nothing to tell you about the ribs themselves. They’ve got a nice spot, good side dishes, friendly staff and I see no reason why they won’t be successful. Still, Bar-B-Cutie misses the mark we’ve set, possibly by design. we have a review of the Bar-B-Cutie in Nashville. It is a random chain. 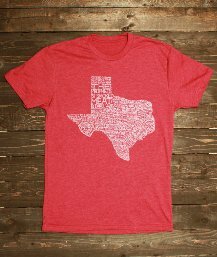 Do you know where they originated? With their home office being in Brentwood, TN, my guess is that you visited the original location on Nolensville Rd. 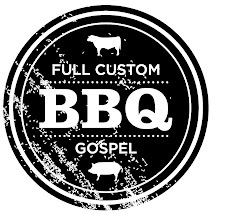 According to their website the company "has set its goal of becoming the largest quick casual BBQ chain in the world". With only 16 established locations and 4 "Coming Soon! 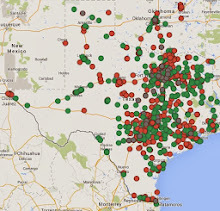 ", they have a ways to go to catch up with Dickey's and their 179 locations. Ready, set, go...in the great race to widespread BBQ mediocrity! I can't say that I was overly impressed with Bar-B-Cutie. My order was taken quickly, with plenty of questions answered, and great service. I may have been happier if the prices were lower, but after ponying up a reasonable price for BBQ, I was quite disappointed. I sampled the sausage sandwich, and found myself looking for a refund. It was sliced opened, grilled, and served greasy on an ordinary bun. The sauces available, left sitting in ketchup style dispensers on the table, were non flavorful, and nothing original to them. If an establishment is going to charge for a product, they should deliver more than fast food quality. I think the original review is being generous in it's 2 star rating.